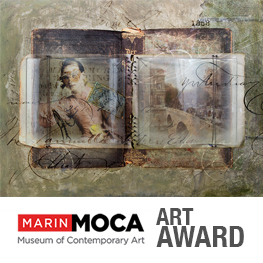 Sandy's art awarded Honorable Mention in "Memory & Perception" National Juried Show 11/17 -12/23 at Marin MOCA. Sandy's art combines mixed media with kiln-formed glass to create dimensional wall pieces. SANDY YOUNG: Postcard Memories art book released!